Pretty much any computer user runs the risk of falling victim to crypto ransomware like GandCrab these days. Even with no potentially harmful action on one’s end, such as opening a virus-tainted email attachment, the malicious code can still be deposited on a machine via more sophisticated techniques like the use of exploit kits. The cybercriminal group behind the above-mentioned infection appears to be highly proficient in what they do. What is the .CRAB ransomware? As stated above, the actual denomination of the blackmail malware under scrutiny is GandCrab, which is currently at version 2.1. However, most victims mention the .CRAB file extension when referring to their predicament. That’s, obviously, because people tend to notice the tip of the iceberg from the get-to. This file suffix is one of the early symptoms of the onslaught. Having completed unauthorized data encryption on a target host, the offending code concatenates .CRAB to every single item that underwent the scrambling. So, a sample graphics file named 1.jpg will turn into 1.jpg.CRAB while having also become inaccessible due to the adverse effect of a military-grade cipher. The ransomware build in question splashed onto the scene in early March 2018, shortly after the Romanian police seized servers used to operate the first version of the malady. This law enforcement move must have called forth little harm to the crooks as they promptly released the fully functional and refined GandCrab v2.1. The updated culprit switched to using the new .CRAB extension and a ransom note named CRAB-DECRYPT.txt. Its Command and Control infrastructure underwent some changes as well, featuring three new .bit hostnames that have to be resolved for the encryption to take place successfully. The TXT ransom how-to got an additional section regarding an option to contact the malicious agents by means of the Tox peer-to-peer instant messaging service. The CRAB-DECRYPT.txt rescue note, which can be found in every folder with hostage files, instructs the victim to visit the GandCrab Payment Page via Tor Browser. The extortionists have even addressed the issue of Tor being off limits in some locations, encouraging people living there to leverage the Tox tool mentioned above. One way or another, the data decryption process endorsed by the criminals boils down to submitting a ransom amounting to $400 worth of Dash. 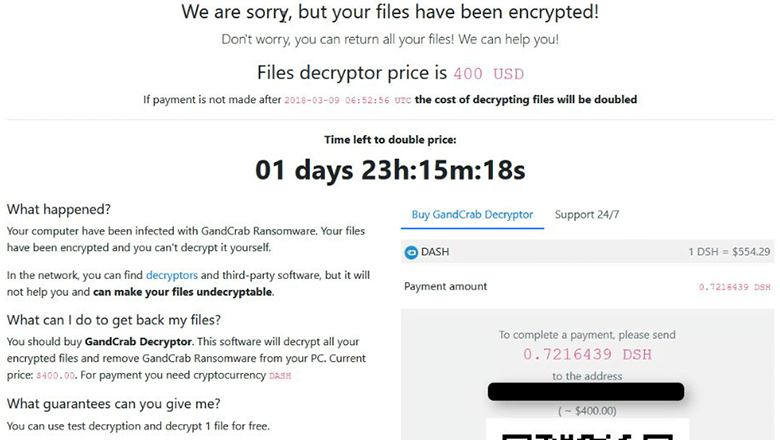 Incidentally, this is the first time said cryptocurrency has been used by ransomware peddlers, so the GandCrab crew is quite innovative indeed. Unfortunately, data decryption in this scenario is pretty much a no-go unless the user gets their RSA private key. It’s the threat actors who keep it, though. The applicable options are restricted to paying the ransom, which isn’t recommended, or trying some classic forensic data recovery tips and tricks. It’s important to know that the .CRAB ransomware creates copies of your files and encrypts them. In the meanwhile, the original files get deleted. 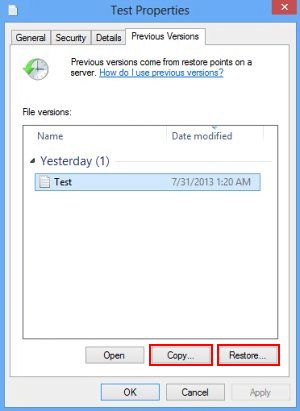 There are applications out there that can restore the removed data. 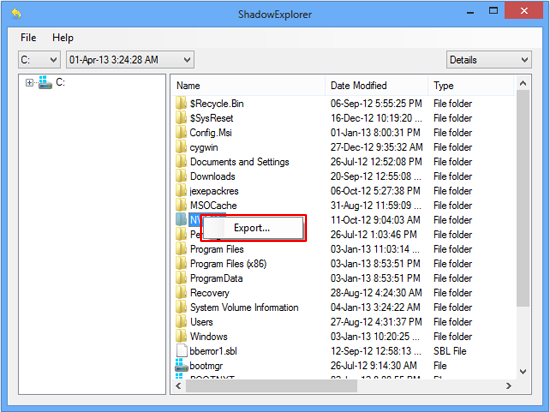 You can utilize tools like Data Recovery Pro for this purpose. The newest version of the ransomware under consideration tends to apply secure deletion with several overwrites, but in any case this method is worth a try.